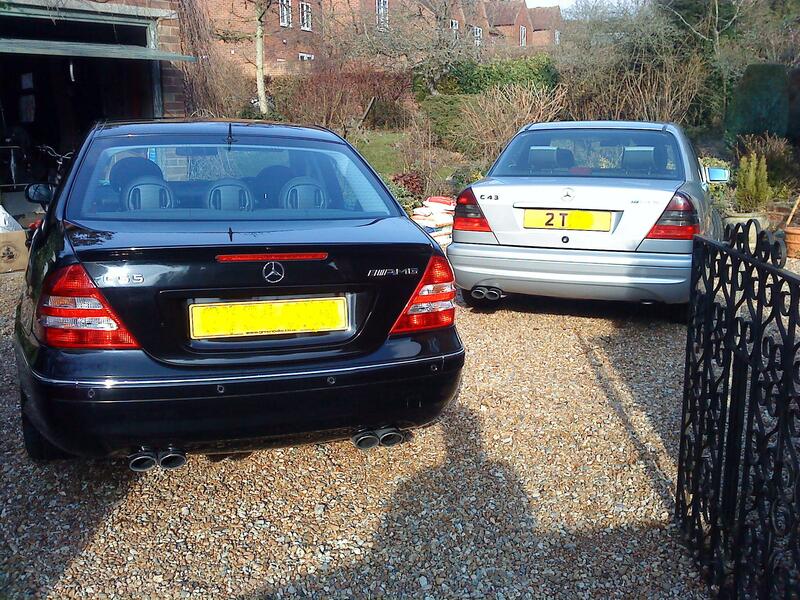 Tomorrow sounds the death knell on the relationship with my C55 AMG. As a prolific changer of cars, (three months being the average shelf-life before I get bored), I’m used to the sight of someone else driving off in my pride and joy, warmed by the knowledge they are wearing the same grin that I did when I twisted the key for the first time. This one is going to be harder than usual. Firstly because it makes a noise like Brian Blessed gargling vintage Bordeaux and I’m a confirmed sucker for the bent-eight burble. Secondly, I’ve become used to gradually ‘climbing the ladder’ with cars, each sale being accompanied by the anticipation of getting my grubby mits on something I want more than the last one. Sadly it’s a stretch too far, even with my loose sense of car-choice logic, to imagine that running a 367bhp 5.4litre V8 which rewards you with single figure mpg in traffic, would be sensible on a student budget. It could be worse, in parallel with the C55 I’ve been doing my own unofficial long-term group test with its older boxier brother, a 118k mile C43 AMG which has had my name on the V5 for a record 14 months. Mercifully then, I won’t be without a V8, a truly frightening thought. Here are my reflections on seven months and 10,000 miles with the C55. The experience from behind the wheel is best summed up as most un-Mercedes like. Sharp, focussed steering, and a very well resolved ride and handling compromise, mean it steers and handles in the same league as an E46 M3. Despite the weight of the V8 up front, it doesn’t understeer, but keys into the road surface and goes exactly where you point it. This has something to do with the fact that from the ‘A’ pillars forward the C55 shared nothing with the rest of the C Class range – it had a wider track, 10cm longer nose to accommodate the 5.4 lump, and a much quicker steering rack. 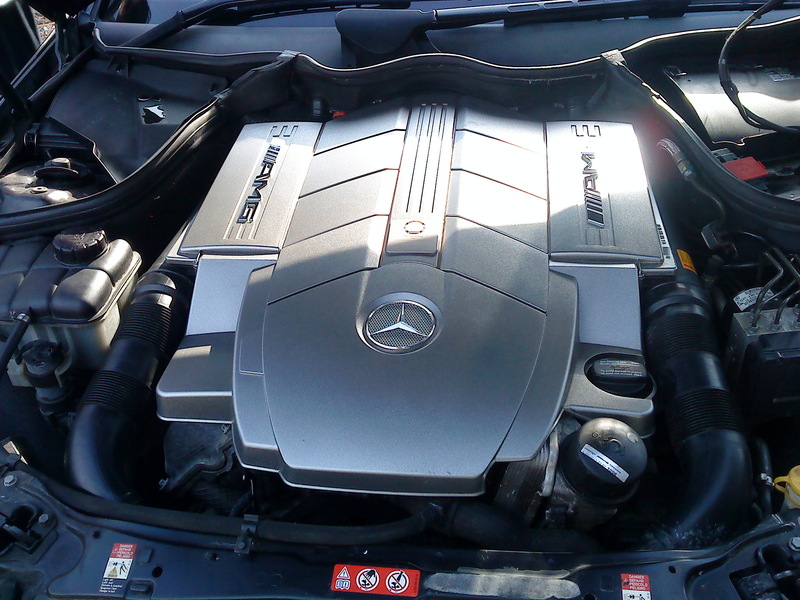 As with many ‘over-engined’ cars, it’s the power house under the bonnet that defines this car. The headline power figure comfortably eclipses the M3 (367bhp vs. 343bhp) but that doesn’t tell the full story. A displacement of 5.4 litres endows it with ferocious mid-range clout (376lb ft of torque at 4000rpm) which the Munich straight six can’t match. As if you needed any convincing of just how proud the boys from Affalterbach are of their engines, there’s a little plaque on the engine cover signed by the chap that hand-built it. Faux bespoke touches like that may be a little contrived but this car felt genuinely exclusive, and was commendably understated where an M3 is just a bit, obvious. I never saw another on the road in my time with this car – if you want to avoid the ubiquity and borderline thuggishness of an M3 or RS4, and don’t need to show off, you really can’t find anything at this price point that comes close. It is tempting to talk in clichés when reflecting on this car: Bouncer in a Savile Row suit, sledgehammer to crack a nut, and so on. The one that sums it up is Jekyll and Hyde. Happy to mooch around at low speed in traffic, shuffling up and down the gears imperceptibly and with minimal input from the driver. Exactly what you need to get to and from work in unstressed fashion. If you feel dangerous though, the C55 plays the rude, dirty V8 very easily. 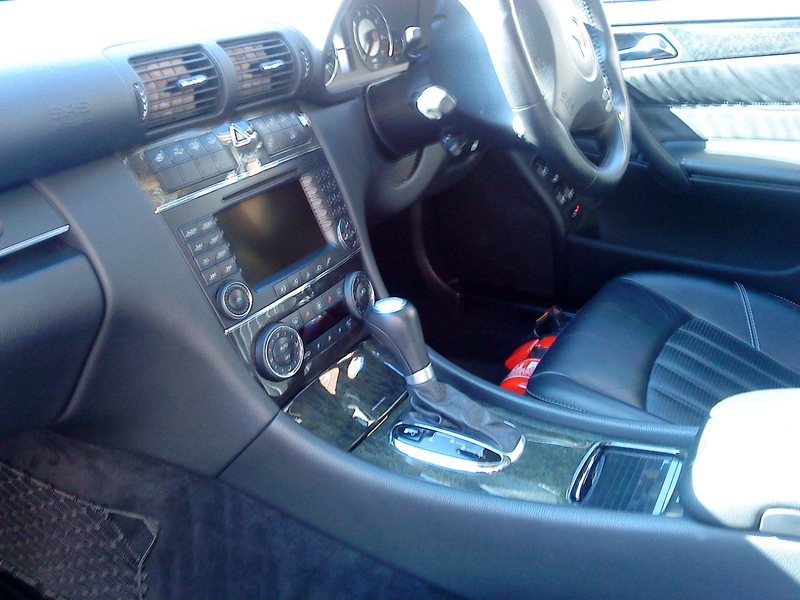 Flick up and down the gears using the steering wheel paddles and you have control that the conventional auto in the C43 denies you. Unlike many, it’ll hold to the red-line in manual mode and bounce off the rev limiter without changing up, if that’s your bag. What did it cost me? I try to buy well to preserve my ‘car fund’ for future indulgences, so this one which had been chopped in at an Audi dealer came to me at £15k seven months ago. I’m offloading it for £14.5k, so, excluding running costs, depreciation after 10k miles and seven months is negligible. Owner number one had ticked every option when speccing it so I was still finding things to play with a couple of months in. Some of the equipment was surprisingly useful, like the electric rear sunblind, and the built-in Bluetooth phone. I couldn’t have lived without the thumping Harmon/Kardon 7.1 surround sound or the brilliant satnav. Other gizmos I could have managed without – the electric memory steering wheel, linguatronic (sounds like a pasta dish, but is Merc’s version of voice control for the stereo, nav and phone), and the fire-extinguisher bolted to the driver’s seat – I genuinely never wanted to find a need for that last one. Look closely and you can see the fire extinguisher. Never got my money's worth out of that. A voracious thirst for Mobil 1 (common AMG trait), and a fondness for needing new ball joints and steering arms took the shine off slightly. Thankfully I had the foresight to buy a Mercedes warranty (after the C43 demanded a new gearbox last Christmas, it painfully asserted the fact that older AMGs can be financially ruinous). Much has been said about declining Merc quality, and the era of the over-engineered ‘hewn from granite’ Merc may be long gone, but it felt tight and rattle free after 68k miles, with not one shred of wear evident inside – it even smelled new. Sadly, the legendary and oft-publicised Mercedes customer service was far too evident on my visits to three separate main dealers in the Midlands, and would genuinely make me think twice about ever buying a Merc new. Changing the track-rod ends and then failing to re-adjust the tracking, leaving the car pulling wildly to the left was pretty poor. Taking weeks to resolve the issue and forcing me to seek intervention from Mercedes UK was unforgivable when you are paying main dealer labour rates. As was keeping the car for days, returning it with a grubby interior, half a tank of fuel gone and lending me a ‘courtesy car’ with no road tax. I could go on but, the fact that I’ve experienced exponentially better service and levels of technical competency by independent specialists tells the story. Hugely capable as an all-rounder, furiously quick and laden with toys. There was genuinely nothing that bothered me or made me question my decision to buy this car – aside from one obvious truth, the shocking fuel consumption. I never acclimatised to the speed with which the fuel needle dived south, even when driving sedately and making a real effort to be frugal. They are addictive these AMGs, right up until the moment when you review the bank statements and find out exactly how much of your income is funding the welfare of shrimp boat fisherman in Louisiana. Do you have a review on your C43?